This is a promotional piece sent out on behalf of my studio via Agency Access, a marketing list service for creatives. We are looking for a hands-on intern with a serious interest in art and photography. The position will pay a modest stipend and/or garner academic credit (to be arranged depending on the individual situation). Please feel free to pass this post on if you know someone you think would be right! Harold Davis Art & Photography, located in Berkeley, California, is the business arm representing Harold Davis, an internationally recognized artist and photographer whose work is exhibited, collected, and licensed widely. Harold Davis is an experienced and widely sought-after workshop leader, and the author of many books related to art and photography from publishers including Random House, Monacelli Press, and Focal Press. Our website is www.digitalfieldguide.com. We seek an intern who is a self-starter, reliable, organized, and interested in hands-on art and photography. Primary duties will include assisting with printmaking, handmade artist book collation, work on studio design projects, and general studio duties. We are looking for an intern who can commit to ten hours per week. We are hoping that this internship will also qualify for academic credit, and to that end will supervise the interface between a creative project of the intern and real world implementation of said project. Applicants should make contact by email with a resume, cover letter, brief statement of what they hope to get out of the internship, and (if available) a link to an online portfolio. However, what I have little patience with is pay-for-play business models masquerading as something completely different, where the real intent is to take advantage of artists. This brings me to the subject of Vida, also called Shopvida, on the web at www.shopvida.com. I am writing today regarding your artwork, with the hope that you will consider collaborating with us. I am writing from VIDA, a Google Ventures backed company that brings artists and makers together from around the world to create original, inspiring apparel in a socially conscious way. We are looking for artists with amazing technical skill and truly original work. We came across your artwork, and we’d love to work with you to translate your art into fashion. By way of introduction, my name is Erica, and I manage Artist Relations here at VIDA. We specialize in converting 2D art into beautiful, quality apparel and accessories. Also, each of our artists receives a portion of net revenues shared back for each of their designs sold. As part of our artists recruitment team, I would be thrilled if you would join us as a VIDA artist by submitting your artwork to …. In the meantime, if you have any questions at all, please reply to this email directly. I’d be more than happy to answer any questions you may have. We would be deeply honored to have the opportunity to work with you. We handle production and business, so [our artists] can pursue their passion and make a living. So not only was Vida honored to have me, by joining I could make some money, support mindful global citizenship, and also literacy programs. Who was I to say no to this appeal to my artistic vanity and my desire to do good—with the potential to benefit my pocketbook. Surely, a potent brew of benefits. I hemmed and I hawed, and I decided to give this a shot. After all, no payment was requested upfront. Putting up a shop on Vida is relatively easy and also quite a bit of fun. You use low resolution Jpeg imagery to design items in a number of clothing categories (also bags and pillows). You can see the Vida collection that I designed at http://shopvida.com/collections/harold-davis, partly shown above. [Author’s note: I’ve requested Vida take down my store and purge my images, but as of publication date this link is still live.] Once the low resolution store front is in place, you need to upload high resolution versions of the image files, but this isn’t anything that anyone reasonably capable with Photoshop can’t handle. It was clear as soon as my storefront was up on Vida that the next step would be self-promotion. As I was informed at the top of my new online store as soon as it was live, with ten sales I get “Slate” status—which means that ” Harold’s art will be promoted by VIDA.” Presumably, without the ten sales there would be no promotion of Harold’s art by Vida, sigh! Just to be clear, I have nothing against involving family, friends, and collectors in social media campaigns that benefit me. In fact, Kickstarter is kind of built around this concept, and I have run two successful Kickstarter campaigns (see https://www.kickstarter.com/projects/472058814/botanique-a-hand-made-book-of-art-prints-by-harold and https://www.kickstarter.com/projects/472058814/monochromatic-visions). It is reasonable to expect family, friends, and social media involvement in the projects that are important to an artist. It becomes a problem if these channels are the sole support of a project, and largely are making money for a third-party who is not the artist. Before deploying my reputational capital on behalf of my Vida collection, I thought it would be a good idea to order an actual product from my shop as a matter of simple quality control. Under Phyllis’s name I bought a “Kiss from a Rose” cashmere silk scarf for $85.00 (it came to over $100 with tax and shipping). As a side note, this sale to myself was the only sale I made via my Vida store. When the scarf eventually arrived, the reviews were mixed. Delivery took about five weeks, which seemed like a strangely long time. While the scarf seemed expensive to us for what it was, in fairness it was sized quite large. However, in our opinion the fabric didn’t seem as luxurious as the “silk-cashmere” description would seem to imply. There was no lining. Hemming (on the short side) was adequate, but not particularly elegant or complicated. The long edges of the scarf were not sewn at all, but were simply the selvages of the fabric. The process by which this was created clearly involved printing on fabric via an inkjet printer. There were some places where the dye didn’t reach the fabric, leaving white spots. To be clear, I have nothing against printing on fabric with an inkjet printer, particularly when it is done well. But this isn’t exactly an artisanal process, and it is unlikely to be lifting third-world crafts people out of poverty. I’ve used an inkjet printer to print some of my images on canvas, but that doesn’t make these images “genuine oil paintings” any more than Vida’s inkjet products are legitimate third-world textile art. While I waited to evaluate the product sample, the upselling email fun began…often at the rate of several emails a day. Lesley suggested I might enjoy the Festival of Art event where “where art lovers and artists can join together in their admiration for the arts,” and where I would receive a 40% discount on purchases of $900 or more. seems exaggerated—but certainly something that gets my attention as an artist, with its mention of Google and my artwork as a fashion brand, and no more exagerated than the spiel from many another tech startup. This is, however, also a well-crafted appeal to the vanity and optimism of any artist. The actual business model seems to be more like a blunderbuss than a discovery mechanism for quality art that would work for textile designs. The goal seems to be to see how much product can be moved by the artists to friends and family of the artist. The only mechanism for discovery of great designs is to qualify by selling Vida product to friends and family, and it is far from clear that the promotion that might follow from said sales at Vida would result in any long-term gains in terms of the branding of an artist. At best, this is a pay-for-play business model on Vida’s part. As I’ve noted, I have no problem with the notion of investing in the business of being an artist, provided this investment is made thoughtfully. I also have no issue with using friends and family as part of one’s social media constellation to jumpstart a career. I do have an issue with the lack of upfront clarity on Vida’s part about this being what a store on Vida will entail. Pay-for-play can be okay, but then you should say right away, “For exposure you must pay!” Essentially, Vida is analagous to a multi-level marketing scheme, where participants only make money by selling the company product to others. One other aspect of Vida’s workflow is troubling, and that is the production of the actual products. In point of fact, I have a natural outlet for products based on my work via my workshops and other events. Had we believed the merchandise was of a quality that worked with the quality of my work, and that we wouldn’t be ashamed to present to my audience, we could easily have taken advantage of one of the many offers I was pitched. For example, we could have bought $1,000 worth of products based my designs at a 40% discount, and sold these at retail at my workshops. The problem here had to do with the quality of the printing, which we didn’t think was high enough to compare with my other work. In addition, a zebra doesn’t change its stripes to a leopard’s spots. The deceptive marketing to artists is one of a piece with the deceptive sense that Vida gives that its products, created using inkjet printing, are related to textile craft and somehow artisanal. There is quite a bit of markup in my $85 scarf, and I don’t think this money is going to a dye printing machine operator in India. Is Vida an out-and-out scam? This depends upon your definition of “scam,” but probably not, in the sense that they do actually make and ship the products they advertise (even if these aren’t of great quality). Nothing illegal is going on as far as I can tell. Like Amway and Herbalife, there are probably folks who have done okay with Vida—but it wouldn’t be for me. Is this a business model that treats artists ethically and morally? In my opinion, I don’t think so. As always, do research, draw your own conclusions, and caveat emptor. I submitted a draft of this article to Umaimah Mendhro, the founder and CEO of Vida, and to the press email at Shopvida for comment, but as of publication time have received no response. Have you had an experience good or bad with Vida? I will happily approve for publication relevant comments related to this article. Other articles by Harold Davis pertaining to contemporary issues in the business of art and photography: Putting Paid to Purloining Picture Snatchers: Working with Pixsy; What do Harold Davis and Georgia O’Keeffe have in common on Pinterest, and how is Pinterest going to make money, anyway? ; and Presentation Matters: Why Book Publishers Should Care About Quality. 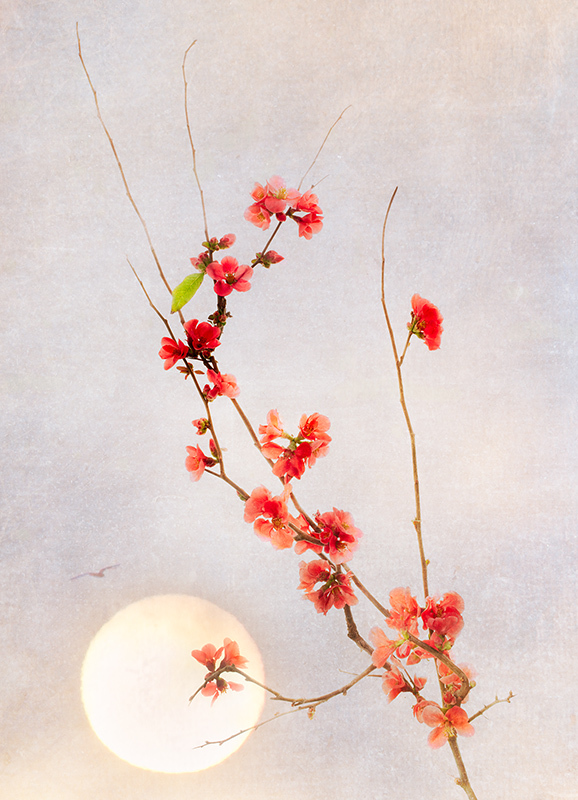 About Harold Davis: HAROLD DAVIS is a professional photographer and digital artist whose work is widely collected. 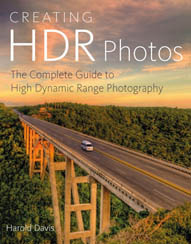 He is the author of many bestselling photography books, including Achieving Your Potential As a Photographer, Creating HDR Photos, Photographing Flowers, The Photoshop Darkroom, and The Way of the Digital Photographer. We operate in the Knowledge & Information Economy, delivering products and services to commercial and academic customers through an array of media, from digital to print to face-to-face. Through this engagement, we share knowledge, insight and intelligence in specialty topics, and we provide connectivity to expert communities. T&F has bulked up via acquisitions over the years, with Routledge a major acquisition in 1998, and CRC Press acquired in 2003. More recently, Focal Press, one of my publishers, was acquired. Focal has a very long and distinguished history of publishing photography books since the 1930s, but now has essentially been gutted, with the imprint recast as a division of Routledge. In other words, content divorced from its presentation is now seen as the key to the publishing kingdom. This content can be sliced, diced, and resold at a profit without having to worry about the high production or inventory cost of decently produced physical books (or the production costs of well-produced e-Books, for that matter). I don’t want to pick on Mr. Horton too much. It’s hard to argue with the proposition that great content is, well, great. And T&F and Informa are hardly alone among big publishers in wanting to have friction-less profits based on content by itself, without having to worry about the headaches that come from producing and inventorying physical goods. To paraphrase the author Erica Jong, whose first book used the idea in a very different context, this is the dream of “zipless” publishing where virtual stuff—the ideas of experts and academics—becomes spun into monetary value for company shareholders in our physical world. My new book, Achieving Your Potential As a Photographer: A Photographer’s Creative Companion and Workbook, was published just before Focal Press was gutted by T&F. I am very proud of the content, photographs, design, and production that went into my book. It is the last book that I will be publishing with T&F—despite a multi-book contract with Focal—because the reconstituted company simply doesn’t have a commitment to quality trade book production. My understanding is that the reason T&F has canceled my contracts is because they don’t want to live up to the quality book production standards I had written into the contracts before I signed them in 2014. In Achieving Your Potential As a Photographer, I strongly urge readers to draw their own creative line in the sand to become the best artists that they can be. 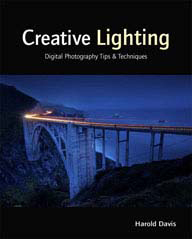 I am the author and producer of 18 bestselling photography books that my wife, Phyllis Davis, has designed. So this is one place as an artist, photographer, and writer that I am drawing my own line in the sand. When it comes to photography books, the quality of the design, reproduction, and book production does matter—a great deal!!! In fact, generally quality of design is a huge factor in this world, whether one is dealing in old fashioned domains or in high technology. Regarding technology, Steve Jobs’s Apple is a great case in point, showing how quality design and quality physical production add tremendous value to what would otherwise be fairly generic products. I am committed to working as an artisan across the domains of content production. Whether I am creating books for trade publication, e-Books, fine-art prints, handmade books, or online learning tools, I will only do so with elegance, grace, and style. The timeless idea of quality can be appreciated and will be rewarded whether the mechanisms of production are the latest in high-tech printers, or as ancient as hand-made, one-off construction. A publisher that willfully ignores the difficult issues of quality in production is definitely off-the-rails. They are looking at books and content in a very shortsighted way, and missing the forest for the trees. Yes, it does take time, money, and effort to get things right—but getting things right is always worth doing. What do Harold Davis and Georgia O’Keeffe have in common on Pinterest, and how is Pinterest going to make money, anyway? Actually, I don’t really care how Pinterest plans to make money, although in the light of the rest of this story it is worth noting that Pinterest has a private market value believed to be north of $10 Billion. Yes, that is Billion, as in a ten with nine zeros after it. I was alerted to my photo made in homage to O’Keeffe being mistaken for a literal O’Keeffe by a reader who wrote, “Hi Harold! 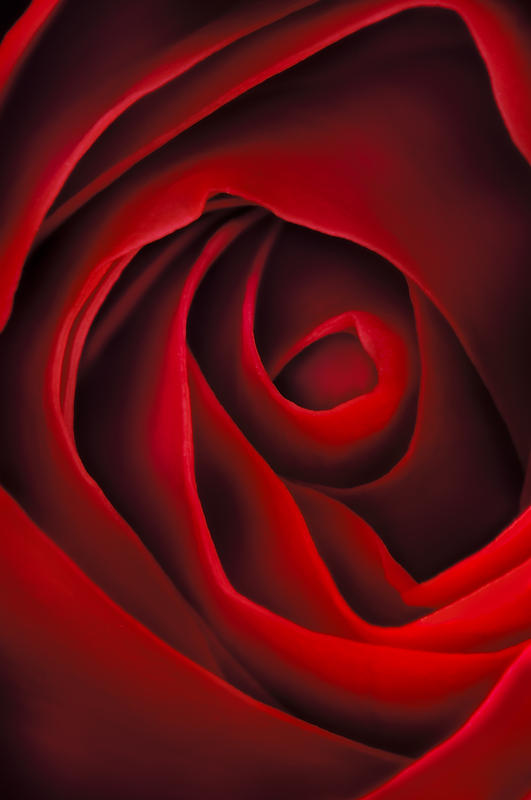 Love your Rose Photography. I see on Google your work is confused with Georgia O’Keeffe’s paintings!” While this case of mistaken artistic identity mostly involves Kiss from a Rose, some of my other images such as Eye of the Rose and even the book cover for my Photographing Flowers also occasionally show up categorized as O’Keeffe’s. I am in fact of two minds about this issue. On the one hand, obviously it is good publicity for me that people like my work enough to pin it on their Pinterest boards. And, as I noted, I am certainly flattered to be compared with O’Keeffe. On the other hand, it is hard enough to make money as a living artist these days when one is up against the common Internet dogma that information “wants to be free.” Ascribing to this theory across the board leads to a rush to the bottom. As a hint folks: ultimately this means no more quality visual art, literature, or music. The TOS on Pinterest claims that each user (e.g., someone who creates a board) is responsible for obtaining permission to use work, but of course people just ignore this, and go ahead and scrape imagery off the sites where I post. I doubt anyone at Pinterest really believes that users are going to get permission, and posting this TOS is just el poo-poo del toro to try to ward off copyright lawsuits. Which someone should really do, and take Pinterest to the cleaners for the intellectual property scamsters they are. Or, Pinterest could prove they care about artistic creation by setting up a financial pool to reward artists whose work is used on their site. What do you think about this? I know that many of my readers are Pinterest users. Am I out to lunch on this one?